Announcement Welcome! 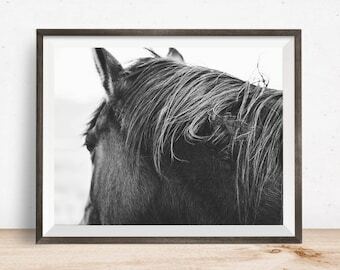 Apples and Oats Photography specializes in fine art horse, farm, and country photographs with a modern and fresh feel. Photograph sizes range from 5x7 to 30x45 inches. All photographs are printed on archival luster paper with a matte finish and ship in 1-4 business days. "To many, the words love, hope, and dreams are synonymous with horses"
Welcome! 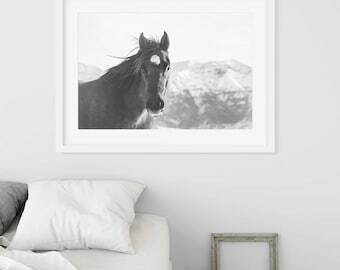 Apples and Oats Photography specializes in fine art horse, farm, and country photographs with a modern and fresh feel. I love being a photographer and sharing my images with the world. 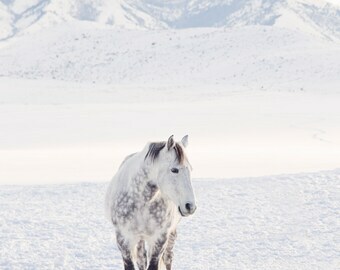 Western horses possess such a rugged beauty. Being in their presence makes me feel so calm. My dog Spot is my loyal assistant! He is by my side 24/7. I often get so distracted by Spot's incurable cuteness that I forget what I'm shooting and only photograph him. From the Sonoran Desert, to the National Forests of Montana, to Utah's Bear River Mountains - Wild country has inspired me. After a childhood in upstate New York, I packed my bags for the Mountain West and found a new life at a horse and cattle ranch in Arizona. What started as a small break from reality turned into a three-year adventure, making a living at seasonal ranches around the Western U.S. Working alongside horses in these breathtaking locations triggered a new passion for fine art photography. 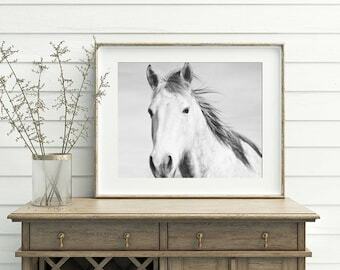 I spent countless hours photographing horses in their natural environment. I would wait patiently to be finished with my daily work so I could spend the evening alone with a pasture full of horses. I became completely enamored by their beauty. 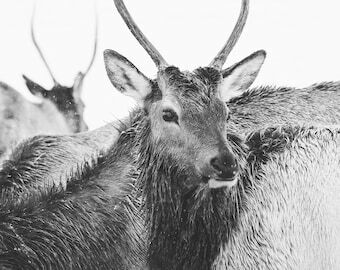 To this day, I strive to capture the strength, spirit, grace, love and joy of these amazing creatures. I have since settled in Northern Utah where I continue to be inspired by the beauty of this place. In addition to photographing horses, I also enjoy daily hikes in the mountains with my loyal border collie, Spot. In fact, if it wasn't for my horse photography I would probably bombard you with pictures of my adorable pup! I have a BFA in Applied Photography from Rochester Institute of Technology. Making a living as a photographer isn't the easiest but I love every second of it! All photos are printed at a professional imaging lab enabling photos to be archival prints that will last a lifetime. Please don't hesitate to message me with any questions regarding the images themselves or shop policies. **Please note sizing differences if choosing a dimension other than what is listed. Photos listed as 8x12 correspond correctly with 16x24, 20x30, 24x36, and 30x45 sizes. Photos listed as 8x10 correspond correctly with 11x14, 16x20, 24x30, 30x40 sizes. Canvas gallery wraps are also available at special request. Canvas Wraps are made at a professional imaging lab on high quality canvas. Canvas is stretched around a .75 or 1 1/2 inch frame with black backing board fitted on the back. Wraps can also have solid colored edges for photos that have important elements too close to the edges of the photograph. (ex: the nose of a horse is pressed right against the edge and wrapping it would pull a few inches of the horses face over the side) Colored edges can be in black or white. If you are not satisfied with your purchase please contact me within 15 days of receipt. We can work together to find an appropriate solution. I will refund or exchange your order (with the exception of shipping costs) up to 15 days after the photograph is received. You will be responsible for returning the image in its original condition. If you have any questions about the checkout process please contact me so I can assist you. Photographs will be shipped after full payment is received. Please double check your shipping address if you are checkout out via PayPal. I will ship your order to the address provided in your ETSY receipt. I make every attempt to ship your order as soon as possible. Photographs are typically shipped in 1-4 business days. 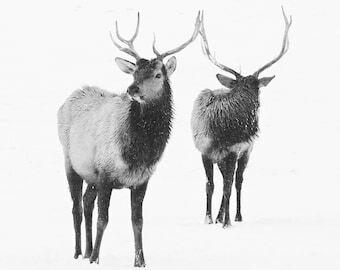 Photographs 16x20 and under are carefully packaged with rigid backing and a waterproof sleeve to ensure safe delivery. 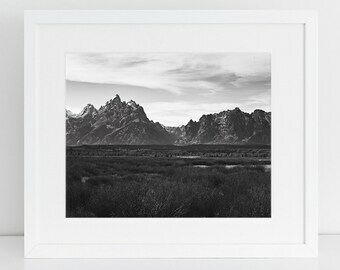 Photographs larger than 16x20 will be shipped rolled in a mailing tube for safest delivery. All other products (canvas, wall art..) are shipped safely in a protective box. The buyer is responsible for customs charges that may occur for items shipped outside of the United States. Returns will not be accepted on the basis of customs fees. I make every effort to ensure that photographs arrive undamaged. If, however, a product arrive damaged please contact me within 15 days of receipt. I will ask you to send in a few snapshots of the damage that includes the outer packaging and damage on the print. For insurance claims it's important for me to know if the print was damaged while packing or during shipping. With proof of damage, photos will be replaced immediately and should arrive shiny and new. 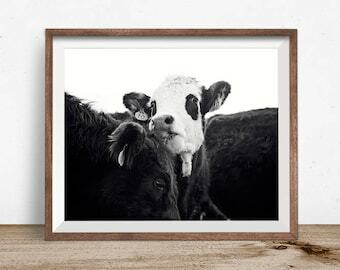 Why are some prints listed as 8x10 and some as 8x12? Can I order an 8x10? The 8x12 (11x17, 16x24, 20x30, 30x35) dimensions match the crop of a image straight out of the camera. Sometimes I prefer the look or the original file and choose not to crop it. 8x10 (11x14, 16x20, 24x30, 30x40) is a size more people are familiar with. I am happy to switch any photo to an 8x10 or 8x12 dimension if requested. I do not sign prints unless requested. You may request a signed print via messaging. Signature and date will be on the back of the print and will take an additional 3-5 business days to ship. How do I know if a photo is a portrait or landscape orientation? If it’s hard to tell which way a photo is oriented please refer to the text of the listing. It will be listed near the top of the item description. You can always message me for clarification if needed. Do you sell digital photographs? I do not release any digital files of my photographs. Yes, most sizes are available up to 30x45. Please message me with a size request and I will send you the pricing and crop difference. 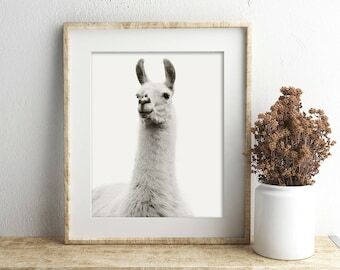 Can I order a print larger than 30x45? Sadly, that is as large as I can print at this time.